Experts and achievers from different and diverse fields like arts, Science, Technology, Literature, Music and Dance etc. are invited to interact with the students about their journey, obstacles, challenges, motivation etc. This helps in expansion of knowledge and wisdom of the students. A counseling session on "Effective Parenting Skills in Present Challenging Times" was organised for the parents of Class VIII to X. Dr. Vinay Mishra, a renowned Psychologist and Counselor was the resource person. 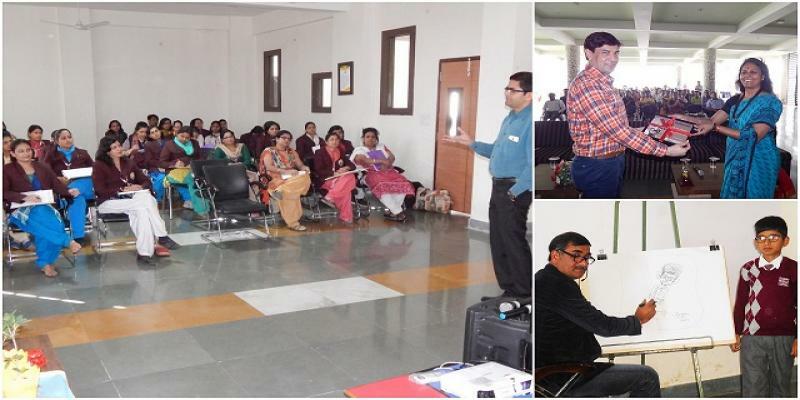 An interactive session on Type1 and Type 2 Diabetes by Dr. Sachin was taken up where the basics of both the Diabeties, Hypothyroidism and Obesity were discussed. The students were fortunate to have attended Aspire Caricature Workshop organised in the school by the renowned and skilled cartoonist Mr. Hariom Tiwari. Students eagerly participated in the workshop and learnt to give expressions to the voiceless, lifeless and inanimate objects.